Jonathan Levin has once again taken to Twitter to tease an upcoming utility he is working on, which will be “coming soon to an iPhone X near you,” according to the tweet. The tweet appears to be a follow-up to Levin’s announcement a few days ago that he was working on, and will be releasing, a new jailbreak toolkit that would be fundamentally helpful to security researchers and those individuals who are continuously investigating the iOS platform. A follow-up reply to the tweet by Levin confirms that this will be known as his “process explorer,” and that it will run “on anything,” referencing a question about its compatibility with Apple’s iPhone 7 hardware. Interestingly, Levin once again takes the opportunity to announce that this is not a functional jailbreak, and, based on the previous information that Levin has already released via his own website, we already know that he will not be doing any work to put together an iOS 11.1.2 jailbreak. 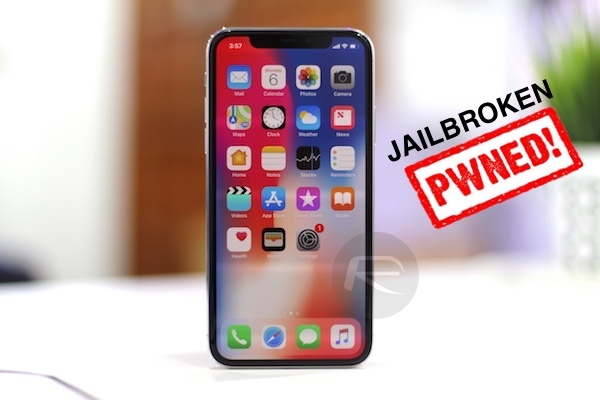 With that said, he has confirmed that this release will be useful for researchers, and when working together with the recently-released tfp0 exploit by Ian Beer, could be the ingredients for someone to actually put together a jailbreak for supported firmware going forward. A series of Levin’s previous tweets have also confirmed that the release of Ian Beers’ tfp0 bug isn’t actually a full jailbreak, meaning that the community can, and potentially should find some positivity in all of the releases and announcements that have been taking place recently, and they should also exercise some patience and wait to see what actually happens once all of these individual components are out in the open. And as for this new process explorer tool teased by Jonathan Levin; it’s definitely going to help a certain subset of individuals with the right skills and capabilities, but it’s by no means a tool or utility that will be useful to any device owner wanting a jailbreak on iOS 11.1.2 or below. As always, as and when more information becomes available, including an official release date or more granular details on what the toolkit is actually for, we will be sure to bring it immediately to you. Until then, if you are a member of the jailbreak community, then we recommend exercising some patience and allowing the course to run naturally. why continue study jailbreak for 11.1.2, it cause alot iphone went to black screen due to Date problem, and it does not come with fast charging enable and apple pay. why not study on 11.2? if the jailbreak committees release a jailbreak for 11.1.2, apple will fix all bug, then jb for 11.2 will be harder.